Cat Accessories There are 6 products. 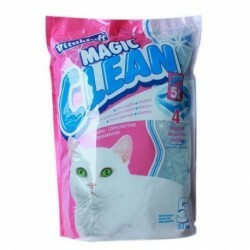 Vitakraft Magic Clean is a silicone based cat litter that will last, its extremely absorbent and super economical in use as it is made from 100% natural ingredients. Refill cassette for the LitterLocker II disposal bin. Ancol Harness & Lead Set is a quality product, designed to be durable and secure. Ancol Hide-Out Delux is a cosy sleeper pod for catnaps combined with high platform. 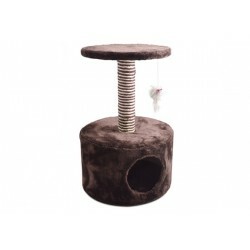 It has multi- coloured sisal rope and comes with a mouse toy. Verm-X is a 100% natural formulation that helps maintain all areas of intestinal hygiene whilst being gentle on the animals gut and digestive system.